Tahoe Fence Co., Inc. was founded in 1974. In 1975, the Company incorporated in both California and Nevada. The Company continues to be family owned and operated, with close ties to the area. Tahoe Fence was the Foundation for Carson City Parks and Recreation “Business of the Year” for 2016. 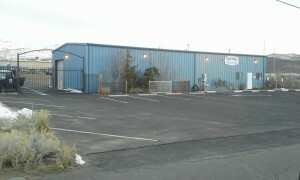 For 8 seasons in a row (2009 – 2016), Tahoe Fence donated temporary fencing to the Arlington Square Ice Rink in downtown Carson City. In addition, the Company donated temporary fencing to ST. Teresa’s 2016 Fall Festival. Tahoe Fence is licensed in both California and Nevada. 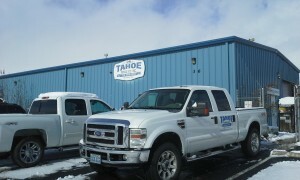 The Company continues to serve all of Lake Tahoe, Truckee, Northern Nevada, and the Eastern Sierras. A service area that contains 17 different counties between the two states. The counties Tahoe Fence works in include (State of California): Alpine; El Dorado; Inyo; Lassen; Mono; Nevada; Placer; Plumas; Sierra; (State of Nevada) Carson City; Churchill; Douglas; Humbolt; Lyon; Mineral; Story; and Washoe. With the owners of Tahoe Fence having over 100 years of combined fence experience, from the mountains to the valleys, we continue a tradition of excellence. Call or email Tahoe Fence today for your free, professional fence estimate.